Categorization (aka Classification) – Manually categorizing text is laborious, expensive and arguably impossible in a world where we are creating more information in one day than humanity created in the last two millennia. Auto-categorization of text helps users navigate and find the content they are looking for. Categories help ensure that the right content goes to the right person at the right time. It enables you to create governance mechanisms over large swathes of content to ensure legal or organizational compliance, access privileges, retention policies, etc. All this is achieved through inexpensively and automatically means with a proven track record of success. Topic Extraction – While categorization is about pinning an entire text to a single category, topic extraction is about finding the named entities and concepts within. Another way to put it is that it finds all the ‘things’ the text is about. This provides key insights to understand the meaning, origin, and similarity of documents. You get a more robust and complex view of the content. This perspective paves the way for information discovery, faceted searching, discovering relationships between concepts, and clustering documents according to the concepts they contain. Using topic extraction over a period of time, it is even possible to develop early warning systems for trending concepts. Sentiment Analysis – Sentiment analysis is a key function for many organizations interested in text analytics. As businesses, we need to be responsive to customer’s needs, and speed and accuracy are essential. Sentiment analysis enables you to not only understand what your customers, employees, and users are talking about but also whether what they are saying is positive or negative. You can see why this is important. Two statements, ‘The quality at company X is terrible.’ vs. ‘The quality at company X is great’ have very different ‘actionable insights for company X. This is just the beginning of the complexity. For sentiment analysis, context is important. The phrase ‘interest rates are falling’ could be strongly positive or negative depending on the context. Are we talking about loans or savings accounts? Is it regarding the context of a specific banks performance or the overall economy? The technology that can handle that complexity is the result of decades of research. It makes no sense for a company to reinvent that wheel, especially considering that MeaningCloud provides this technology through a number of easy to use APIs and user interfaces. 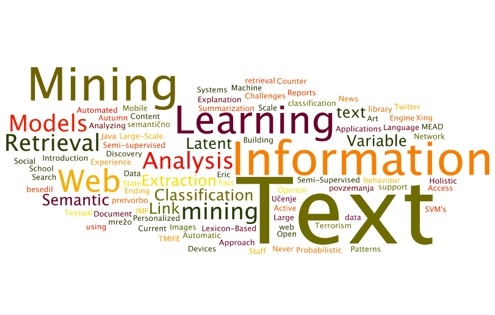 MeaningCloud is continuously refining its text analytics engine to address current and emerging business needs. These uses (e.g. categorization, entity extraction, sentiment analysis) are made available to users via high-quality APIs. Furthermore, we support developers through plugins and SDKs for a variety of environments and languages. For non-technical users we have an add-in for Excel that makes complex language analysis tasks a simple button click. We are confident that the plug-in-play approach to text analysis will quickly demonstrate MeaningCloud’s value. To encourage you to see for yourself, we offer a plan with 40,000 free requests per month. Paid plans start at just $99 a month.